A worker was rescued with a crane and basket by Clark County Fire crews. 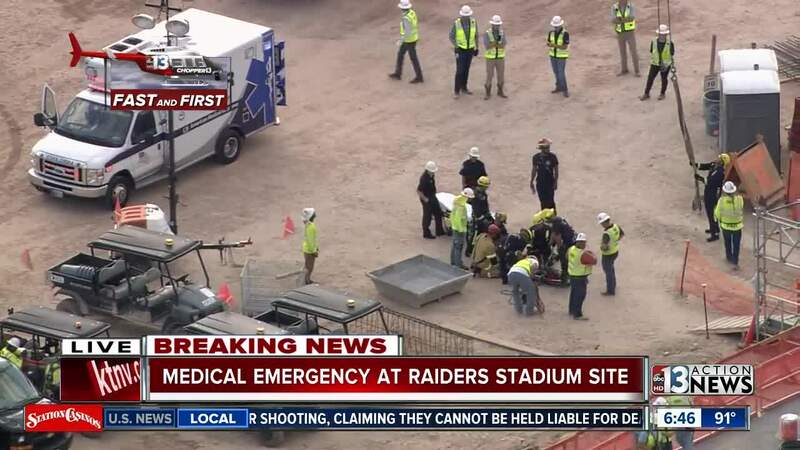 A worker is stable after an incident at the Raiders stadium construction site in Las Vegas Tuesday morning. The worker was about three stories off the ground when the medical incident occurred around 6 a.m. 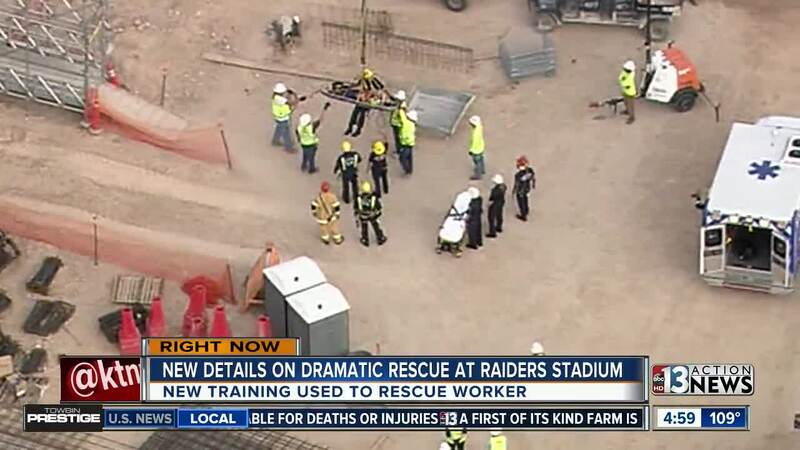 The Clark County Fire Department technical rescue team used specialized equipment to the third deck of the stadium and were able to secure the worker before bringing the worker down. The worker was then transported to University Medical Center. Clark County Fire Department says the rescue is a perfect example of their specialized training for high-rise and tight-space situations. Just a month ago, they brought back the training, and say it helped Tuesday. Crews were able to use a crane and basket to rescue the worker. WATCH the full story in the video player at the top of this page. A statement from Mortenson/McCarthy indicates the worker may have been injured in some way. At this time, it is unknown exactly what happened. OSHA has confirmed that there will be an investigation. This morning at approximately 5:45 a.m., a construction worker on the new Las Vegas Stadium project required medical attention for a worksite injury. The worker was evaluated by the project's onsite medical personnel and taken to an area hospital for further evaluation. The worker was alert prior to transport. Safety is our top priority on this and every project, and we will be reviewing the incident carefully. We appreciate the rapid response from the Clark County first responders regarding this incident.